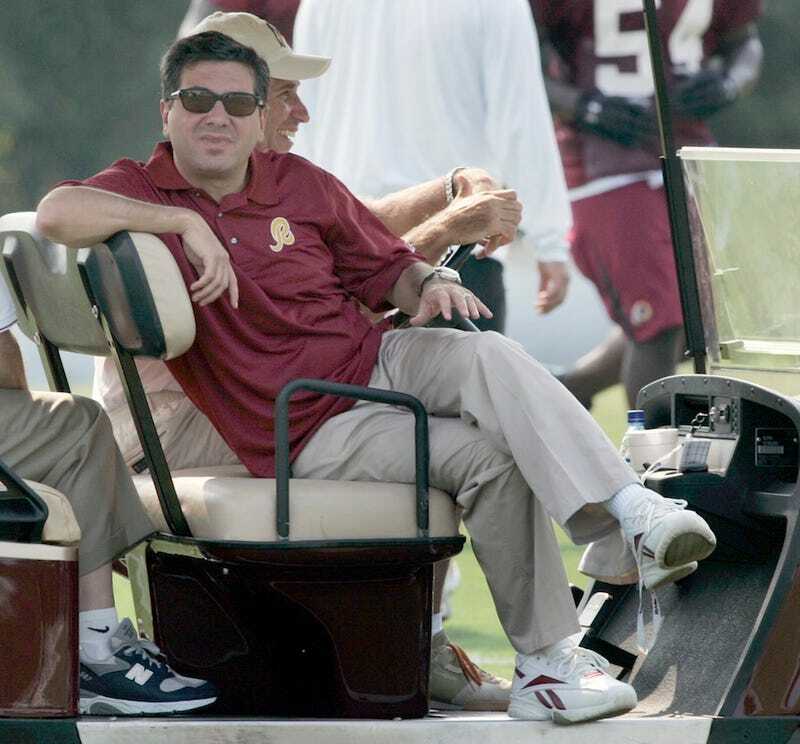 The Redskins appear poised to be competitive for the first time in a long while. But aside from the obvious (PUT RG3 EVERYWHERE), rebranding a franchise is a long and complicated process. Frank Luntz focus groups and fake Indian chiefs were just the beginning. Now the team is polling fans, and some of the questions are slightly...loaded. Dan Steinberg over at D.C. Sports Bog has gotten his hands on an online survey mailed to select fans, and published some of the questions here, here, and here. Even as a cross-section, you can see the issues the Redskins are currently focusing on: A potential new stadium, new buzzwords and slogans, and yes, the team name. Other: "I only get my news from LaVar and Dukes." Other: "RG3 and some dudes." Other: "Can shotgun a Coors Light in under three seconds." Other: "I am incapable of viewing complex issues in anything more than the most simplistic absolutes." There are a lot more questions on the Sports Bog. Go there for a sneak peak at the Redskins of the future.